Animals illegally kept in valley neighborhoods were forced to interact with the public so their owner could make a profit. A Las Vegas man who cashed in on exotic cubs says that what he's doing with dangerous animals is nobody's business. Exotic cubs like liligers are adorable to look at but they are not pets or playthings. They are wild animals that can be dangerous and that's exactly what led their former owner to get in trouble with the law. The events that led to Jeff Lowe's arrest began when animal control and city marshals descended on his home on Natalia Court. 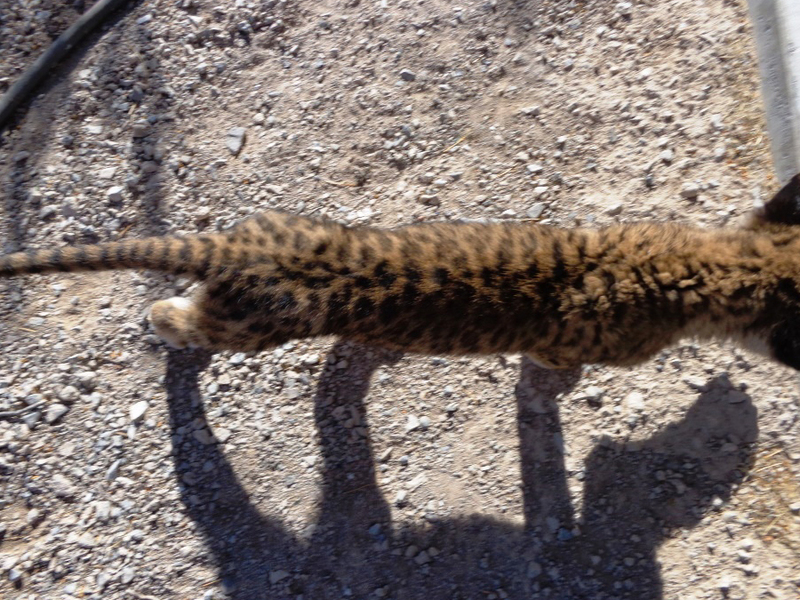 When the City served a search warrant in November, they impounded a tiger, a liliger and a lemur. According to vet records, the two cubs were sick. As part of the plea agreement, Lowe had to surrender the animals and pay $10,000 in restitution for their care. In April, Lowe appeared before Las Vegas judge Cedric Kearns via videolink from jail. He was in custody for failure to appear at a previous court date in the same case. He took a deal pleading no contest to doing business without a license and got a suspended jail sentence and stay out of trouble order. "That means no illegal activity including animal violations," Judge Keans told Lowe. 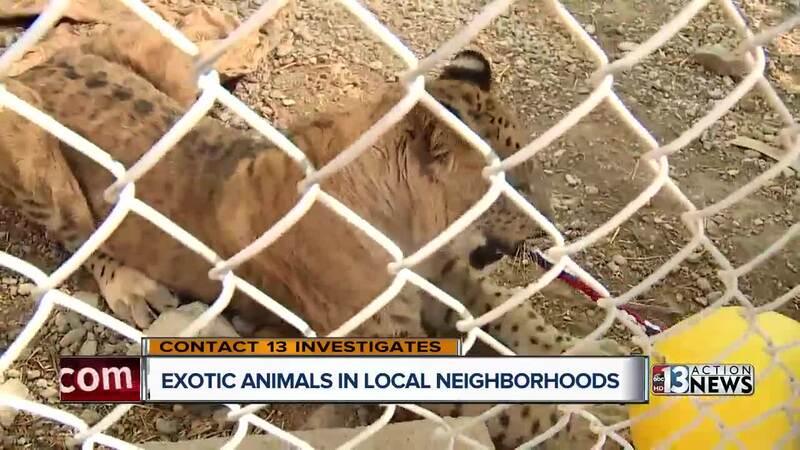 Lowe had been keeping exotic cubs at a home he rented near Tropical and Rainbow. He charged customers a fee to get to interact with the baby animals, without the required permits or inspections. On his website he advertised the "Jungle Bus" which would pick people up from the Strip and take them to a secret location to play with tigers. Animal welfare advocates tipped off animal control. "Our big concern here is they're breaking the bond between mother and cub. And they're putting the well-being of the animal second to their ability to make money off of them," said Jeff Dixon of The Humane Society. You can see just how thin Paisley the liliger cub was when she was found. The animals weren't all that was taken from Jeff Lowe's house. "I'm aware of the firearms. You got ATF problems. I'm not even comfortable with him on the street," Judge Kearns said in court. This city property report shows that marshalls impounded semi-automatic handguns and rifles at Lowe's home. Lowe said in court that the firearms belong to another man in another case. After his trouble in the city, Lowe moved to a home in the county near Ann and El Capitan. County Animal Control tried to contact him about additional exotic animals in that house, but Lowe told us he'd already gone back to his home in Oklahoma. Rolling cubs through casinos in carry-ons for celebrity clients. Lowe wouldn't talk to us on camera. On the phone, he acknowledged he's still coming to Las Vegas, but said it's just to do private parties catering to lucrative celebrity clients. He says he still rents homes here and admits bringing tiger cubs into hotel suites on the Strip, rolling them through casinos in suitcases. "If you're deliberately doing it wrong, you don't want anybody to know what you're doing." That's what Keith Evans of Lion Habitat Ranch told us. "The cat will get bigger and there will be an incident." Lowe says he cares for the cats. He told us on the phone that he bottle-feeds his big cats from birth and no one is more knowledgeable about them than he is. When they get too big, he retires them to his USDA-licensed Greater Wynnewood Exotic Animal Park in Oklahoma where he says they live safe and healthy lives. Video of Lowe on Facebook contradicts what he told us. The video shot by a British media company shows Lowe being mauled by one of his lions. "I didn't think he was gonna kill me, but you never do. He was a bottle-raised baby and today he just wasn't in the mood to be played with," Lowe said in the clip. After the attack, Lowe is heard saying, "Let's not let the guests see the blood." Lowe is currently under investigation by the USDA and controversy has followed him for years. 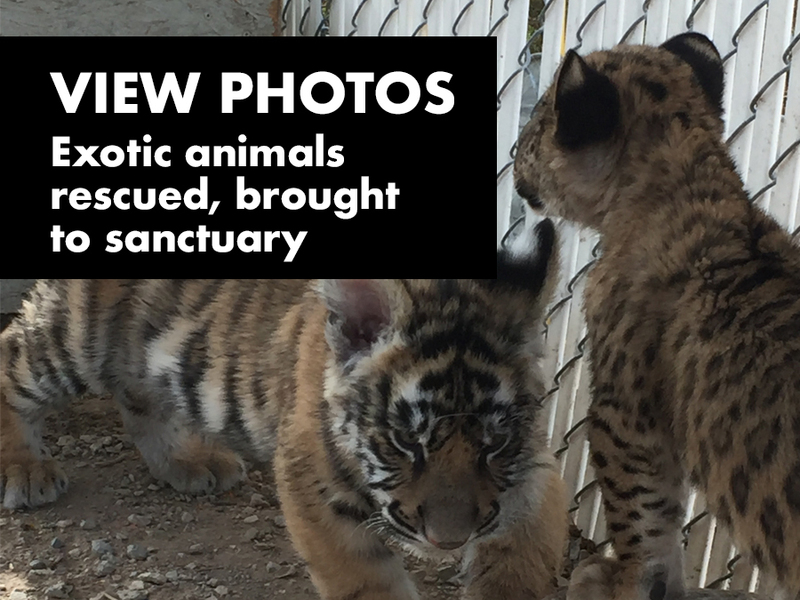 In 2015 after going to jail on a domestic violence assault charge in Colorado, a rescue group there had to take a lion cub and unpermitted tiger cub from his home. In 2016, at Lowe's business in Beaufort, SC, the USDA ordered "the public is to have no further contact with juvenile and adult cats. In 2017, the USDA documented an incident at the Greater Wynnewood Zoo in Oklahoma when a female tiger got loose from an enclosure and was shot and killed to prevent her from escaping the facility. He also told us that he exhibits animals in Las Vegas on private planes and tribal land, where he claims the long arm of the law can't reach him. Claiming the entire system out here is anti-business and corrupt he calls the laws overreaching and reactionary.